To my shame (and a lack of finances!) 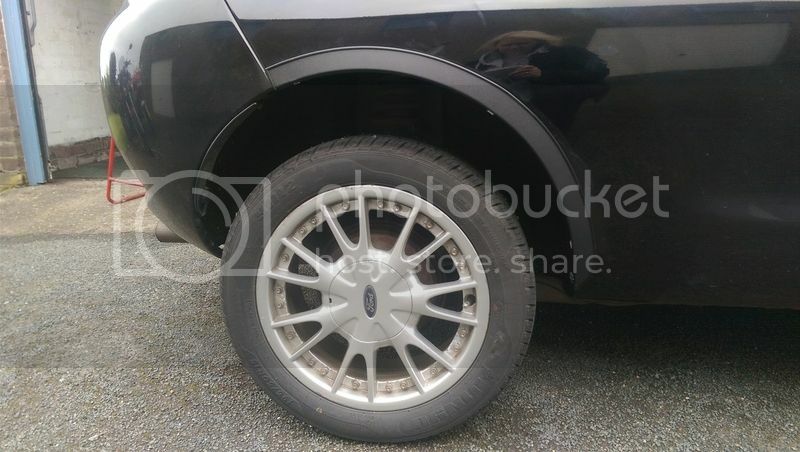 I'm only just getting round to getting some quotes for the dreaded rust on the rear wheelarches. I've only been to one guy so far, and TBH I'm still undecided if he was trying to rip me off or he simply didn't want to do the job. Bearing in mind, although the rust looks pretty bad, I've been told by several people (including my mechanic and the Manx "MOT" tester) that it's surface rust. Imagine my surprise, then, when the guy told me that the wheelarch on one side had rusted right through and that it would have to be cut and welded, etc. The other side is only just bubbling. He also mentioned that he'd want £500 for the work and that he'd need the car for a week. It seems a little excessive to me so I'm going to look elsewhere. 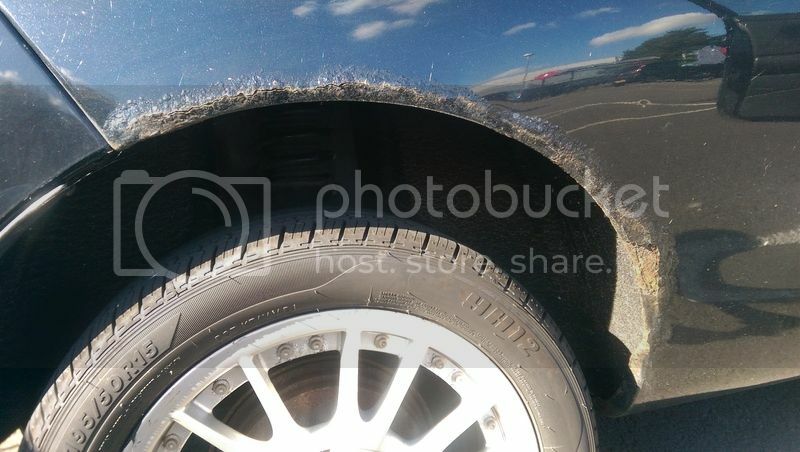 Often the rear wheel arch is from the inside and not just topical. Do get other quotes and do have a read of posts covering it some have pictures showing the rust. Thanks, happy-kat. Yes, I think more quotes are definitely needed! After a bit of deliberation (and a check of the finances) I decided to attack the wheel arches as best I could. After a trip to B&Q and armed with rubbing down materials, rust treatment, paint, etc, I set to work on both sides with the help of a mate of mine (he let me use his garage, bless him). Rust was rubbed right down as much as possible and treated well, and I bought some wheel arch trims from eBay that I got my mate to fit today. I'm pretty pleased with the results. Even without the trims the arches look a million times better. Now the car has hit 90k this will hopefully give it a few more years, bodywork wise. Now it's time to attack the oil leak that's coming from somewhere around the crankshaft seal (but isn't actually the crankshaft seal). Your F1 wheels still look tidy. That looks a lot neater. Cheers. I'm very pleased with the result, and it's cost about £50 as opposed to the £500 the bodywork place quoted me - all for about a day's work in total. Later down the line I'm tempted to get some self tappers to secure the trims rather than bent metal brackets, which is what's currently on there. Hopefully I'll be able to get under the car at some point too and sort the surface rust on the sills.